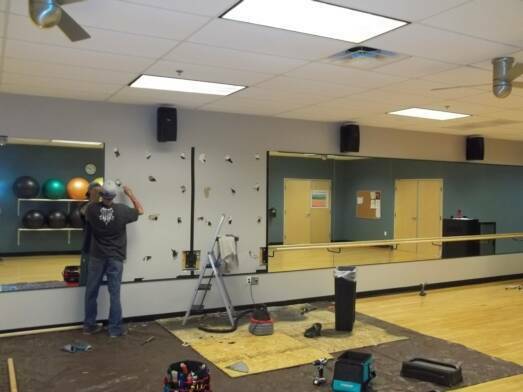 Certified Glaziers train for years on how to properly cut and install glass and mirrors. 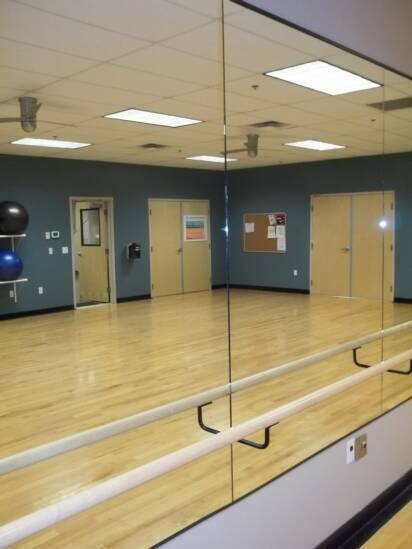 Whether it is a standard ¼” mirror, rectangle in shape that will rest on a back splash in your bathroom,or a custom shaped wall of mirrors to grace a dance studio or exercise facility, THE ROCK Glass and Mirror Company brings skill and 23 years of experience to your project. 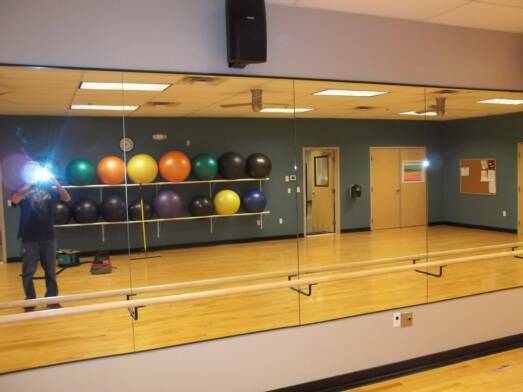 In 24 years, we have helped design, fabricate and install literally hundreds of bathroom mirrors for homes and businesses, and have had the privilege of being able to mirror complete rooms for everything from gymnastics studios, to martial arts studios. We have even created a stack of 4 inch polished mirror circles for a customer who wanted very modern, mirrored coasters for glasses and coffee mugs. So you know you want something beautiful and unique, but what? We can help! Tell us your ideas and we’ll help you design a plan that will look special, well thought out, and sure to get lots of compliments. Let’s hear it, because we’re ready! and do all of our cutting in-house. Need a little help designing? We can help with that too. “I have seen the same scenario for years,” says Damon Cundiff, owner. “There are so many homes, apartments, hotels and even restaurants where I see that someone just cut a mirror and glued it to the wall. 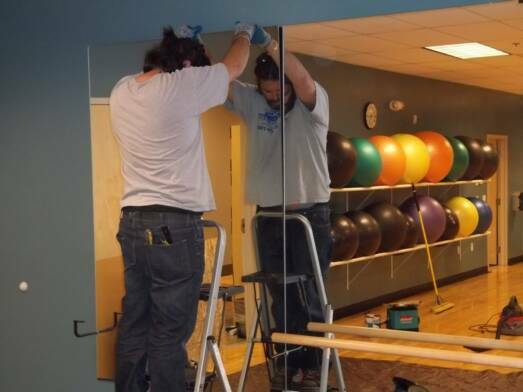 Installing a mirror properly is far more involved than that!" More times than not, a wall that a mirror hangs on or a back splash that a mirror will rest on is not perfectly straight, level, or square. Is not particularly difficult to cut a mirror to be straight and have square edges though. 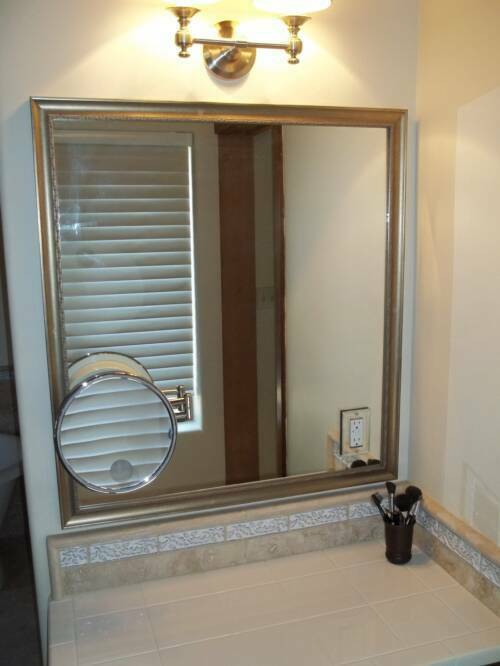 Therefore, putting a perfectly square mirror on a back splash or a wall that is NOT level or square, will only accentuate those imperfections in contrast. 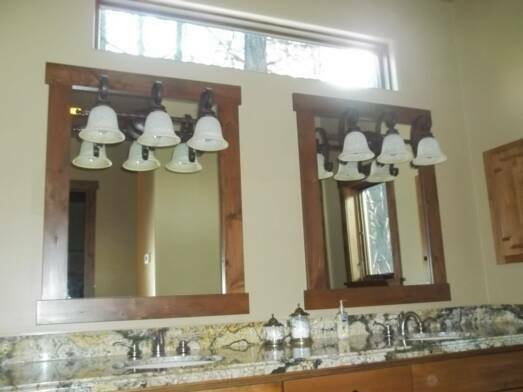 A keen glazier will be aware of this potential and plan for this ahead of time by purposely cutting the mirror in a way to make up for those imperfections. 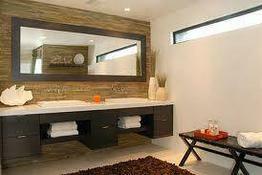 As a result, the mirror, wall, and back splash will all appear perfect in the end. "Our workmanship is 100% guaranteed. and 'good enough' just isn't even close." “We've remained a small company by choice. It allows us to maintain the ‘Good enough, isn’t even close’ motto we established over 13 years ago. a choice. Do we continue to grow, and become a large glass shop? Or is it easier to maintain a higher level of integrity in our work when we don’t get over sized? For me, the answer was clear. I strongly believe the word ‘integrity’, gets thrown around a little too loosely. It is something that cannot be bought, and I think that’s what people like about THE ROCK." Alien Fresh Jerky Of AZ. Inc.
Our workmanship is 100% guaranteed. We don't believe in cutting corners or taking short cuts, and "good enough" isn't even close.